The largest fine jewellery fair in the region, the Singapore Jewellery & Gem Fair, returns for its fourth edition in November this year. The fair takes place from 4 to 7 November 2016 at the Marina Bay Sands Expo and Convention Centre. 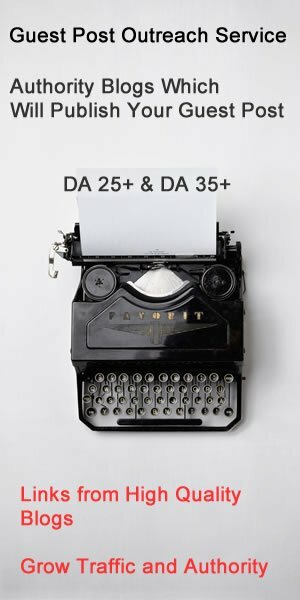 Retailers, buyers and avid collectors can look forward to a massive selection of fine jewellery from over 200 international exhibitors which will be available at wholesale prices. Exhibitors at the fair will showcase luxurious jewellery collections to everyday wearable pieces by internationally-acclaimed jewellers from Austria, Belgium, Germany, Hong Kong, India, Italy, Japan, Switzerland, Taiwan, Thailand, USA, Singapore and other parts of the world. 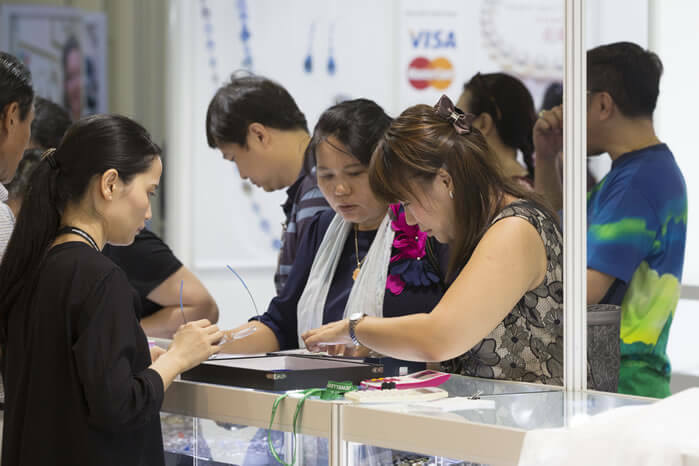 The Singapore Jewellery & Gem Fair has grown significantly in terms of visitors as well as buyers over the years. In 2015, the fair attracted 10,018 buyers and achieved approximately S$16 million in onsite sales. Southeast Asia is an emerging market with over US$50 billion worth of jewellery in the region. 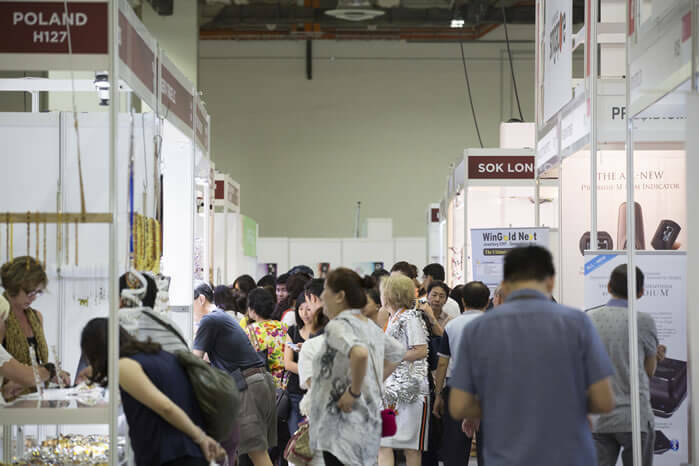 “We have seen an increase in the number of trade buyers attending the Singapore Jewellery and Gem Fair, including Poh Kong Jewellery from Malaysia, Pesona Fine Jewelry from Indonesia, as well as local retailers such as Aspial-Lee Hwa Jewellery, Sookee Jewellery and Poh Heng Jewellery. We believe it is important for retailers to source a wider variety of designs to cater to the different needs and demands of their customers. At the same time, retailers can also take the opportunity to learn about and adapt new technologies which help them to expand their offerings with cost reduction,” said Paul Wan, Managing Director, UBM Exhibition Singapore Pte Ltd. This year, the Singapore Jewellery & Gem Fair will debut the Tools & Equipment pavilion where visitors will be able to learn more about the latest jewellery making techniques and witness the technology behind it. The theme of this pavilion is aligned with the Singapore government’s initiatives to encourage retailers and jewellers to adopt technology such as Radio Frequency Identification (RFID), Augmented Reality, Virtual Try-ons and 3D-printing to improve customer experience and expand their business offerings. The Singapore Jewellery and Gem Fair is organised by UBM Exhibition Singapore Pte Ltd, a member of UBM Asia, the organiser of the world’s leading jewellery event, the September Hong Kong Jewellery & Gem Fair. It is the only event that is endorsed by the Singapore Jewellers Association and the Diamond Exchange of Singapore. Pre-registration for the Singapore Jewellery & Gem Fair is now open. To register, click here. 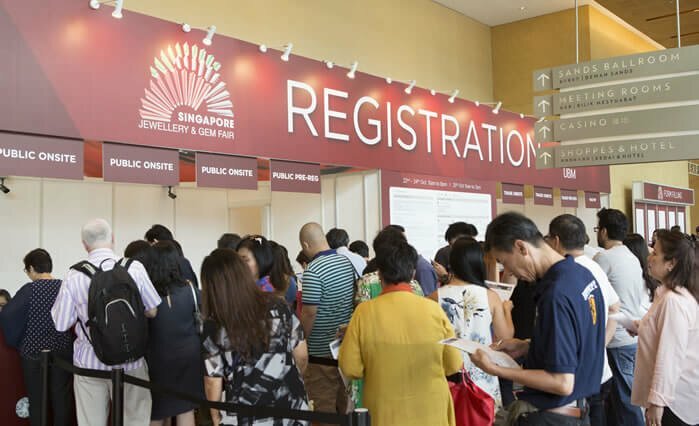 Exclusively endorsed by the Singapore Jewellers Association and the Diamond Exchange of Singapore, Singapore Jewellery & Gem Fair is the largest fine jewellery event in Singapore and the region. In 2015, the event attracted more than 200 exhibitors from 28 countries, targeting the region’s fastest growing high-net-worth population. The fair is organised by UBM Exhibition Singapore Pte Ltd, a member of UBM Asia, the organiser of the world’s leading fine jewellery event, the September Hong Kong Jewellery & Gem Fair. Owned by UBM plc listed on the London Stock Exchange, UBM Asia is the largest trade show organiser in Asia and the largest commercial organiser in China, India and Malaysia. Established with its headquarters in Hong Kong and subsidiary companies across Asia and in the US, UBM Asia has a strong global presence in 24 major cities with 31 offices and 1,300 staff. With a track record spanning over 30 years, UBM Asia operates in 20 market sectors with 230 dynamic face-to-face exhibitions and high-level professional conferences, 21 targeted trade publications, 18 round-the-clock online products for over 2,000,000 quality exhibitors, visitors, conference delegates, advertisers and subscribers from all over the world. We provide a one-stop diversified global service for high-value business matching, quality market news and online trading networks.